Interest-free installment payments call 1-888-898-6673! 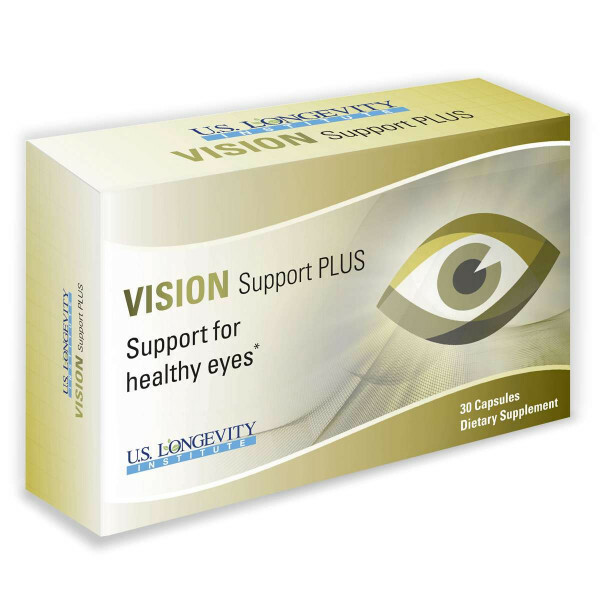 Product information "Vision Support Plus- 30 Capsules"
Vision Support Plus comes complete with NINE essential eye-nourishing nutrients in one box! This natural treatment is already helping thousands of people overcome their eye weaknesses. And, they've come to realize how vital healthy eyesight is to their independence! Daily Usage: Take one capsule daily with a meal. These statements have not been evaluated by the US Food and Drug Administration. This product is not intended todiagnose, treat, cure, or prevent any disease. "Vision Support Plus- 30 Capsules"
Convenience is key. If your purchase is more than $100, you can choose to pay in full, or in easy interest-free monthly installments.. Your satisfaction is guaranteed. If you're not pleased with an item you receive, you may return it within 365 days for a full refund of the purchase price. Save on delivery. When you spend $100 or more, shipping and handling is on us. Your satisfaction is our #1 priority. To ensure that you, our valued customer, are always satisfied with our cutting-edge supplements, we provide everything we sell with a 100% NO RISK Satisfaction Guarantee. Subscribe our the free newsletter and ensure that you will no longer miss any offers or news from U.S. Longevity. ©2018 U.S. Longevity Institute - All Rights Reserved.